Give free rein to your sporting, foodie, artistic and technology inclinations this July. 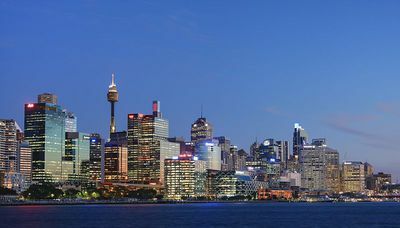 With a range of free festivals, showcases and exhibitions Sydney can accommodate your entertainment wishes and it doesn't have to cost you a brass razoo. 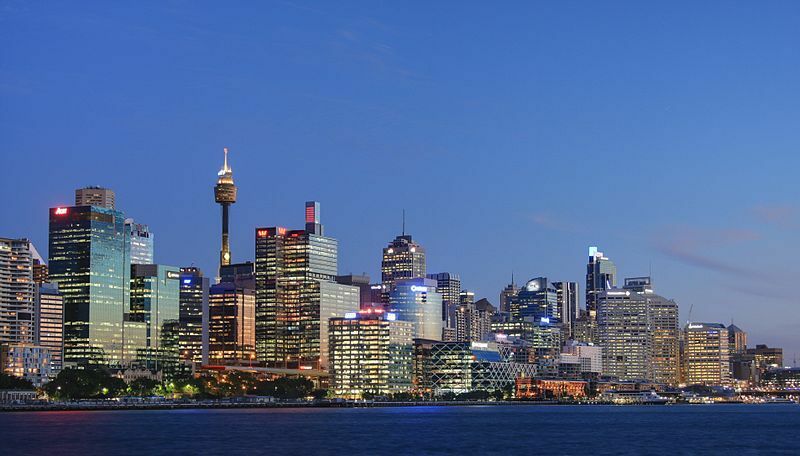 Photo of Sydney by Adam.J.W.C. from Wikimedia Commons. If staying up late watching the Tour de France live on SBS TV isn't enough leg-pumping, heart-racing cycling action for you then you can get an extra Tour fix at Le Tour Lounge in July. You can see stage highlights every evening, replays during lunch and some live action on selected dates. 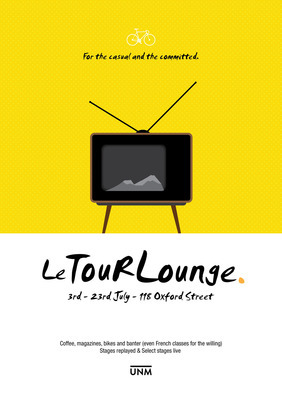 Come and cheer on Cadel and the rest of the Aussie contingent, relax on the lounges and get some Genovese Coffee to ensure you can stay awake. When: From Tuesday 3 July to Monday 23 July. Where: Under New Management, 118 Oxford Street, Darlinghurst. What's On: Highlights at 6pm, replays during lunch from 12 noon, some live night telecasts. More Information: Gold coin donation for coffee and baked goods. You can also check out the French wines of the day. The full program is available here. 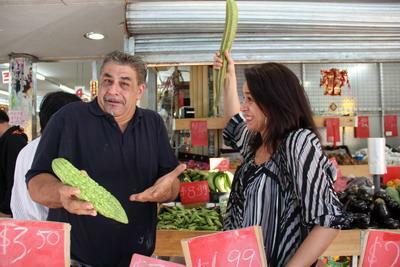 Bankstown is an area of cultural and culinary diversity, and on Saturday 14 July you can bite off as much as you can chew at Bankstown Bites Food Festival. There will be food stalls, foodie activities, entertainment and celebrity chefs and Bankstown Arts Centre will be open for art, music and dance workshops. When: Saturday 14 July from 10am to 3pm. Where: Bankstown Arts Centre and Griffith Park, Olympic Parade, Bankstown. What's On: Celebrity chef Justine Schofield (Masterchef), French musical entertainment to mark Bastille Day, face painting, workshops and Discovery Food Tours of local restaurants. Special MCs for the event are My Kitchen Rules contestants Helen Demetriou and Steve Georgiou. More Information: The event is free but Discovery Food Tours cost $5 and must be pre-booked. Information about the different tours can be found here. Bookings can be made by phoning (02) 9707 9891. The Microsoft Imagine Cup is a worldwide technology competition for students. This year's theme is "Imagine a world where technology helps solve the toughest problems". Some of the world's best student minds beavered away at their tasks, initial judging has taken place and now the finalists from 107 countries are on their way to Sydney. Be amazed by the teams, including the Australian finalists from Melbourne University who created an early pneumonia detection kit. Help give these extraordinary young people the kudos they deserve. Surely your grandchildren will be more impressed that you were at the unveiling of one of the twenty first century's greatest inventions, rather than in the front row of a One Direction concert. What's On: Showcases of the entries from 2pm to 4pm (tours every half hour) and the World Festival from 4pm to 6.30pm. More Information: You can view the entries and vote for your favourite team for the Peoples Choice Award online here. Bookings: Entry is free but you must register here. The White Rabbit Gallery houses a unique collection of contemporary Chinese art. While it is named after a porcelain rabbit rather than Alice in Wonderland's famous tardy friend, their current exhibition Down the Rabbit Hole, definitely evokes something of Wonderland's whimsy and imagination. You can see video installations, paper cuts, furniture art and more and then stop by their Tea House for some relaxing Chinese tea and perhaps a plate of handmade dumplings. Where: White Rabbit Gallery, 30 Balfour Street, Chippendale. What's On: Dynamic exhibition of contemporary Chinese art by artists such as Wang Duo, Wu Daxin and Michael Lin. More Information: Visit the Gallery website here. Who can resist the fragrant scents or the rich, refreshing and exotic flavours of that quartet of pleasures for the palate – coffee, chocolate, tea and spice? You can saturate your senses on Sunday 29 July when the annual The Rocks Aroma Festival once more permeates Sydney's historic harbourside precinct. What's On: The festival has four global regions - The Oasis, The Continent, The Orient and The Latin Quarter, where you can experience a world of food, beverages and entertainment.